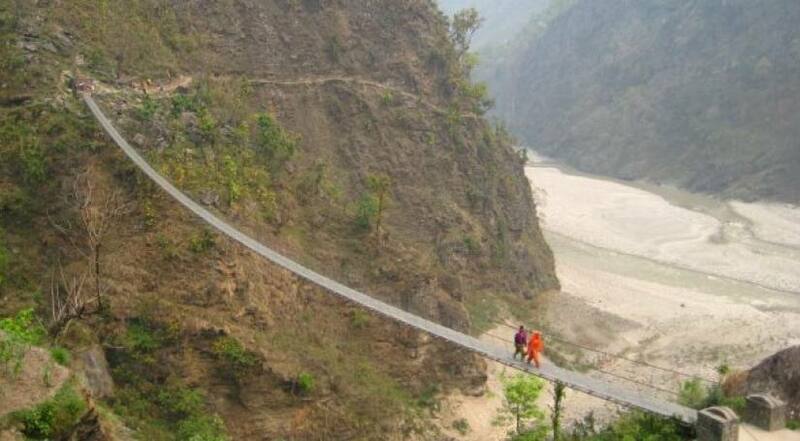 Manaslu trek altitudes range from 600 to 5213 meter. 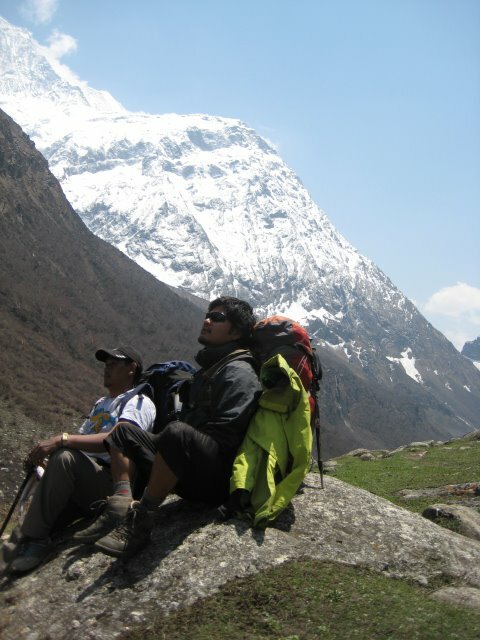 This Manaslu trekking suits best to those who are looking for the challenging less trodden trekking in the Himalayas. As we trek higher the more secretive Hindu culture is being replaced by Buddhist features of Mani walls, Khanyi gates and Chortens as does the topography changes. 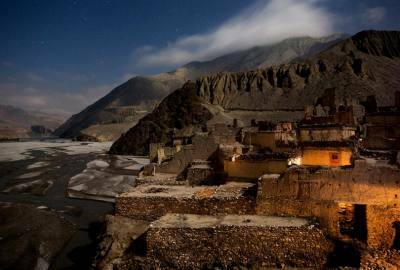 An area of strong Tibetan influence with the trade route between the regions is still active. The trail follows the spectacular Budhi Gandaki River all the way from Arugath to its source just below the Larkya Pass (5125 m). As you start low, at around 700 m, the landscapes are incredibly varied ranging from the green countryside and lush forests to spectacular high altitude landscapes skirting huge glaciers. 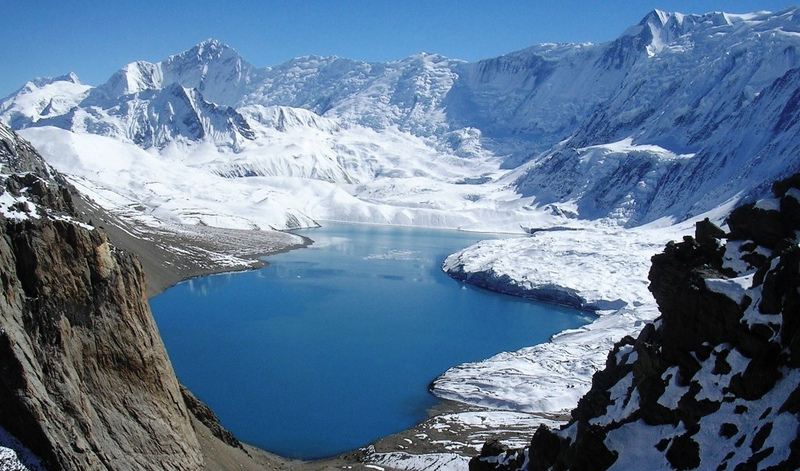 The trek described here starts in Soti Khola and ends in Besisahar, which is also the starting point for the Annapurna circuit. Again, with the new road reaching all the way up to Manang you can save a few days off your schedule by taking a jeep from Dharapani/Tal. The itinerary below is one of the many possibilities. The trek can be made longer or shorter depending on the length of your walking days and starting point. There are basic guesthouses all along the trail so you can choose if you want to camp or stay at the teahouses/guesthouses. You can combine the Manaslu Circuit with the Tsum Valley, a beautiful, secluded valley where century-old Tibetan traditions prevail. 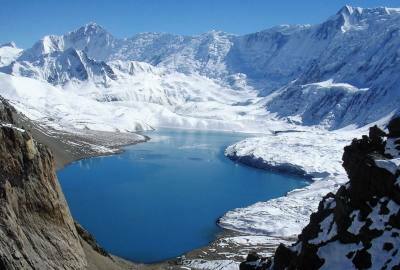 Larkya La (5,213m) is the highest point of the around Manaslu trek. Views are tremendous: Himlung Himal (7,125m/23,373'), Cheo Himal (6,820m/22,370'), Kang Guru (6,980m/22,898'), and Annapurna II (7,940m/26,041'). Drops steeply and traverses scree slopes to another grassy moraine down to a large meadow and camp at Bimtang (3,720m), situated in a huge valley surrounded by high peaks. Crossing Larkya la is demanding. Speical permit is required to trek to Manaslu region, It takes one working day to get permit to trek from the Ministry of Immigration, Nepal. A passport with valid visa is required to obtain permit. Loben Expeditions trips are designed for flexible, energetic people who like to be active and have a spirit of adventure and a positive attitude. We rate this trip as a “CHALLENGING.” You should have to be an experienced hiker however good health condition is required, a few of our days are spent at altitudes above 3500 m. Our hikes will be between five and six hours each day, broken up by a nice rest and a hot lunch. 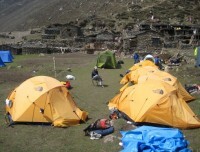 Porters or pack animals carry most of the gear and camp supplies, leaving you free to hike with only a light daypack. 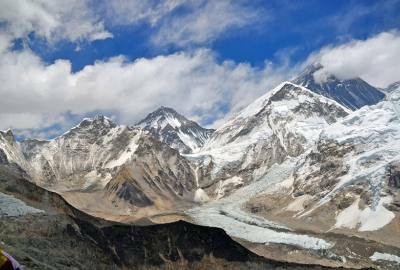 Though no technical climbing or other special abilities are required, even so, trekking at high altitudes is strenuous. Exercise at high altitude compounds the physiologic stress. In addition, high altitude may create discomfort and symptoms of illness that you do not experience while exercising at lower elevations, such as shortness of breath, restlessness or sleeplessness at night, and headaches. You need to be in excellent health and top physical condition to enjoy such an experience, with adequate cardiovascular endurance, muscular strength, and excellent balance. Clients with heart and lung problems or blood diseases should consult their doctor before booking the trip. Altitude sicknesses are common & could be fatal if not taken well care. Our Tibet itinerary with couple days in Lhasa generally makes client fit enough & acclimatizes to continue his/her program. 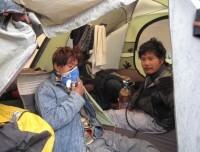 However, simple headache, fever, loss of appetite and stomach disorders can happen before the acclimatization. Advised, drink approx. 3 litres of water per day, do not strain yourself and take regular rests. Smoking and drinking should be stopped for at least first two days. Before starting out on a trek, you should be in good physical condition. If you are not used to some kind of exercise on a regular basis, there is a need to gradually build up stamina, before starting out on a trek. You can start by taking walks, the length of which can be slowly increased. This needs to be done at least a week prior to the starting of the trek. If you are on regular medication, make sure that you carry the required medicines along, and this should be in the knowledge of the trekking guide. Check out our trekking equipment list for proper trekking gears.